1. Some things don’t change: say please and thank you and ask questions about other people rather than talk about yourself. 2. Be punctual. Tardiness does not make you look important, it turns you into an arrogant incompetent who thinks that his time is more important than other people’s. 3. The modern gentleman cares about the planet. Be environmentally aware (but not obnoxious about it). 4. Open doors for people and stand up when they enter a room, but do this for men as well as women. The modern gentleman doesn’t treat women like porcelain. 5. Be modest. Bragging is distinctly ungentlemanly. 6. Be a good father. Nothing is less charming than a man who leaves childcare to women. 7. Be honest about wherever you have come from in life. Pretension is spineless. 8. Flirt – with everyone. Good flirting is a form of politeness. Pay compliments and put your companion at ease. 9. Do not phone/text/check your BlackBerry incessantly. 10. Dress tidily. Whatever style you are going for, scruffiness just isn’t in. This entry was posted in Cultivating and tagged Cultivating, gentleman, manners. Bookmark the permalink. Absorbed and noted. I shall try to do better from now on. Hear! Hear! Number 2 is the most important. I come from a family with total disregard for time. I can’t tell you how many times I’ve just waited and waited, because I am on time and they all arrive when it’s convenient. Also Number 9. How rude it is to the people you’re with. Number 10 – Agree totally and wholeheartedly! Wonderful words of wisdom…am sending them on to my son momentarily. Aesthete, we all should, and it never hurts to be reminded of these things. As LBT says, there’s nothing revolutionary here, but a little positive reinforcement never hurts. Fairfax, I can relate to the genetic disregard for time…. the delightful Mrs. E. is half Venezuelan after all. And I get too nervous leaping for the phone whenever it goes off, so it is quietly ignored or I excuse myself to step outside to answer it if it is the sitter calling. teaorwine, welcome. Pretty blog that you have there. We sons should benefit from this kind of wisdom, early and often. Words to live by! I also think taking the time to write a note by hand applies, but that gesture borders on extinction. A friend of mine’s father recently passed away. He confessed that 95% of the “written” condolences he received were by email. Thankfully nobody was crass enough to send him “ SS 2 heA bout yr dad” in a TXT message! If only I had this when I worked at the all male high school. Such words to live by would have earned a place of prominence on my bulletin board. I must say that #6 is the most prized chapter in knowing my husband (he thankfully came fully equipped with the majority of the list & then some. Tho, I wouldn’t mind a door opened a little more often :)). I always say my favorite version of the man I love is seeing him in full on daddy mode. I will add this to my son’s journal. He’s 2 now, but I suppose it’s never too early to provide a little road map. Proudly, my dear husband follows the list. I will keep that in my “clutch” for those that are not following and breaking the rules! Douglas, you are perfectly correct and a very good friend to yours. MC, the idea of a journal for your two year old is brilliant! I will begin mine immediately. Mrs. PvE, I don’t know…. maybe we should work on one. 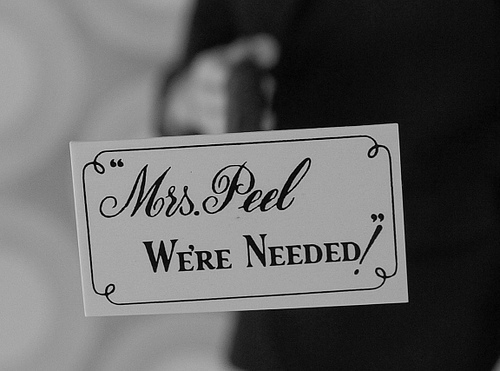 I simply need to bottle you, Peak , Mrs. B. et. al. and distribute liberally. Please send one bottled breath via post asap. I love this list. Particularly #2. To be civil is not easy,it takes dedication. Today , we have very few role models to follow.Hopefully this might change.The change begins with ourselves and if received in the positive, might take root.